The Kids Saddle provides all the support and comfort the youngest rider needs to develop good riding habits and position from day one. 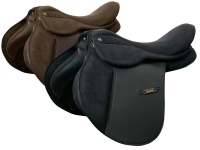 This lightweight 13-inch saddle has Velcro panels that can be adjusted to fit a variety of horses and ponies. 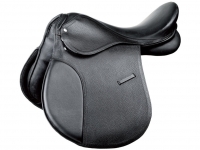 Wintec is the world's # 1 synthetic saddle - Look at the features of this 13 inch Kids Saddle. 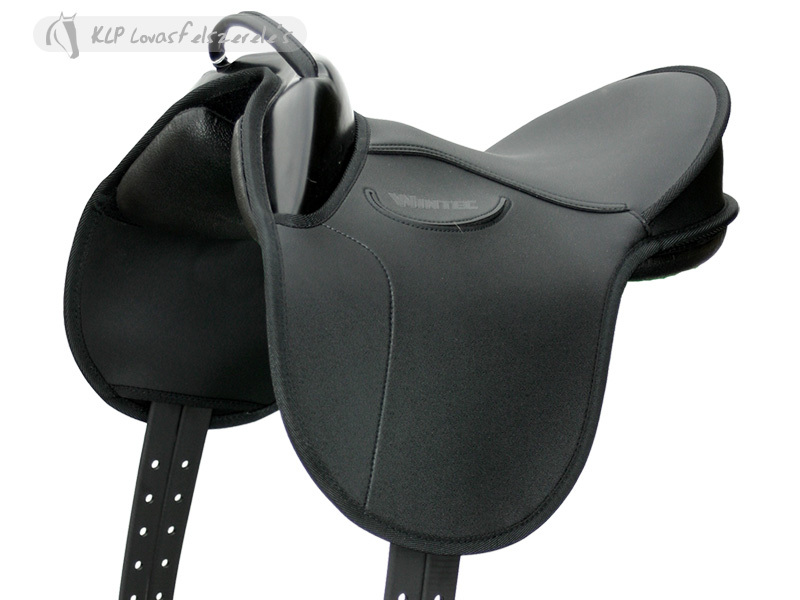 Saddle Design - Helps riders position their legs. Double Girth Straps - No special fittings required. Crupper Dee - Use a crupper if needed. Lightweight - Easy for a child to carry. Weatherproof & Easy Care - Versatile and durable. Wipe clean panel and washable top. 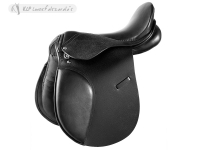 To get the right girth for this saddle you can use the following: the measurement from the center of the under side of the saddle to the lowest hole on the billet strap is 21 1/2". The highest billet hole is 8" above the lowest one.